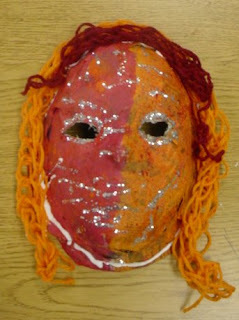 A group of our fourth and fifth grade students have enjoyed making papier mache` masks and dolls. These are just two of many. 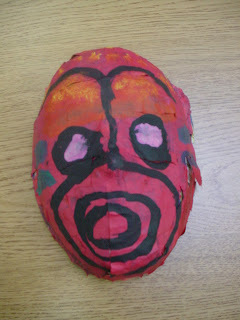 First grade students love to paint!